It claims the head of BP's cleanup sold his stake after he received confidential information about the severity of the spill that the public didn't know. Four years later after the spill, EPA lifts 2012 ban. The company agreed to pay the maximum allowable fine of $200,000 and undergo three years of probation. BP appeals to Prime Minister David Cameron to intervene over the escalating compensation costs of the Gulf of Mexico oil disaster. 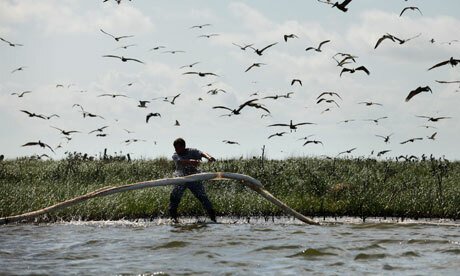 It is the fourth state to seek damages related to the Deepwater Horizon oil spill in 2010. After a steep drop in oil production in the wake of the Deepwater Horizon disaster, the U.S. Gulf of Mexico is set for an energy boom boosted by new projects by BP and others.